Citizens recording their public interactions with police sure seems like the kind of thing that would prevent corruption, harassment and bad behavior by cops. Just don't do it in Illinois, where it's punishable by up to 15 years in prison. Sixty-year-old Chicago artist Christopher Drew is currently facing an eavesdropping charge because he recorded his arrest for "selling art without a permit." Eavesdropping—that is, recording conversations, either public or private, without universal consent—is a felony in Illinois, and Drew could face 15 years in prison. "They keep giving her the run-around, basically trying to discourage her from making a report," [her lawyer Robert] Johnson said. "Finally, she decides to record them on her cellphone to show how they're not helping her." The investigators discovered that she was recording them and she was arrested and charged with two counts of eavesdropping. Police officers, meanwhile, are allowed to record civilians "in private or public." 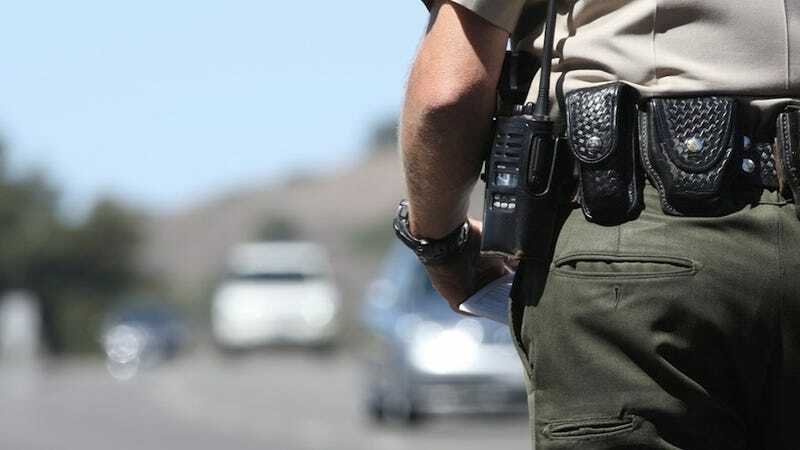 The ACLU filed a lawsuit over the eavesdropping law in the wake of "several" arrests of people who attempted to record conversations with police officers. It was dismissed by a federal judge earlier this month, but they plan to appeal. The Fraternal Order of Police, meanwhile, fully supports this application of the eavesdropping law. Its president, Mark Donahue, told the Chicago News Cooperative that being recorded "can affect how an officer does his job on the street." No duh, Mark.